Kubota unveiled its new 21-inch commercial walk-behind mower at GIE+EXPO 2017. It will be added to the company’s W Series commercial mowers, available with a blade brake clutch in the WGC6-21 model and a zone start option in the WG6-21 model. 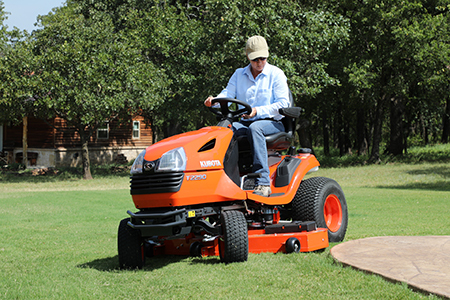 The new mowers combine cutting and bagging performance along with durability. The cast aluminum deck with steel edge guards; cast aluminum wheels with dual ball bearings; and replaceable wide rubber tires meet demands of lawn care professionals. The latest Z700 mowers feature premium suspension seats to allow operators to customize their ride with the weight adjustment knob. It features Parker TorqPact HTG 14 transmissions, a power-dense transmission suitable for commercial turf applications. Kubota designed the Z700 with a combination of speed and torque to deliver better efficiency.